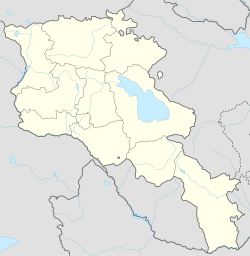 Hoktember (Armenie: Հոկտեմբեր, Romanisit as Oktember an aw; till 1935, Sardarapat) is a toun in the Armavir Province o Armenie. Bi the ceety is the steid o the important Persian fortress Sardari Berd. This wis built aroond 1810 wi Breetish technical assistance bi Sardar Hosein Qoli Khan Qajar, (Sardari Iravani) last an best o the Persie Qajar govrenors o the Erivan Khanate, uisin stanes taken frae the ruins o auncient Armavir, some still bearin traces o cuneiform inscriptions. Uised as admeenistrative centre for the Sardarapat destrict an simmer residence o the Khan o Erevan, the fortress wis taken bi the Roushies unner General Paskevich in 1828, despite stout defence bi Hasan Khan Sardari Iravani, Hosein's brither. Amaist nae trace o the fortress is left, this remnant o foreign rule haein been dismantled tae build Soviet Armenie. A major featur o the ceety is the Sardarapat Monument commemoratin the Battle o Sardarapat. Syne 1967, the toun haes includit the ance unthirlt toun o Norapat. Brady Kiesling, Rediscovering Armenia, p. 37; oreeginal airchived at Archive.org, an current version online on Armeniapedia.org. This page wis last eeditit on 11 Mairch 2018, at 02:38.